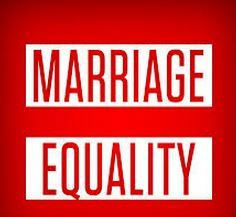 Supreme Court Rules Marriage Equality Legal! In an historic ruling this morning, the Supreme Court of the United States has ruled that Gay Marriage is now legal and the law of the land! I never thought I’d live to see the day. This is what we have all been struggling for all these years and now it’s finally happened! I’m overcome with joy and gratitude to all my GLBT brothers and sisters who have fought the long, hard fight and many of them their lives and careers to the Gay Rights movement that started with some angry drag queens at Stonewall in 1969, and has ended today in 2015 with this historic ruling.